AMMAN — Upon directives from His Majesty King Abdullah following Sunday’s meeting with local community leaders from Tafileh, Royal Court Secretary General Yousef Issawi inaugurated the expansion of Dana Biosphere Reserve’s guesthouse. 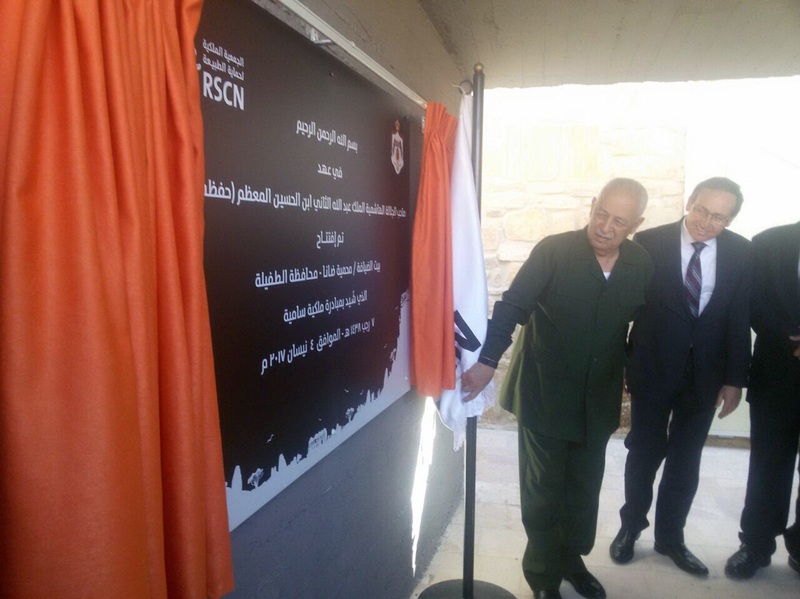 Minister of Environment Yaseen Khayyat and the Royal Society for the Conservation of Nature (RSCN) Chairman Khaled Irani attended the inauguration ceremony, the Jordan News Agency, Petra, reported. The expansion is one of the Royal initiatives being implemented at a number of nature reserves in the Kingdom, aiming to promote eco-tourism and improve their competitiveness. Issawi, who also heads the committee to follow up on Royal initiatives, toured the guesthouse’s facilities and was briefed on the expansion, which was built on a 2.1-dunum plot, includes 15 hotel rooms, a restaurant, terraces and viewing points. The guesthouse includes a silver and jewellery project and a dried medicinal herbs and jams project, which employs 15 local women. The guesthouse provides 24 locals with jobs and will also indirectly benefit 300 families, according to Petra. The Royal initiatives target various vital sectors with projects to build schools, health centres, youth centres, sports facilities and social care centres. Established in 1993, the Dana Biosphere Reserve is Jordan’s largest biosphere reserve, covering 291 square kilometres of some of the most diverse landscape in Jordan. In 1994, the RSCN instituted the first protected area management plan in Jordan at Dana, creating an internationally-recognised model for the integration of conservation with socio-economic development, according to the RSCN website. It spans three climate zones, ranging from the forested Mediterranean to the hottest Sudanian penetration, the reserve is home to hundreds of species living within diverse ecosystems and habitats. Dana’s natural resources have also drawn human interest over the centuries, with the Roman and Byzantine empires in particular coveting the region for its expansive copper and other mineral deposits.